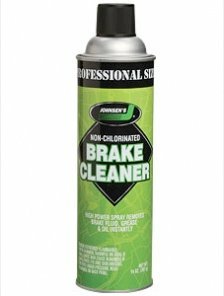 Johnsens Non-Chlorinated Brake Parts Cleaner removes oil, grease, brake fluid and contaminants quickly and with no residue. For use on all ABS, disc and drum brakes. Johnsens Non-Chlorinated Brake Parts Cleaner is also available in 5 Gallons and 55 Gallon Drums.